Are you worried about having a night out with the guys, a four-hour meeting or a game of basketball with your kids? 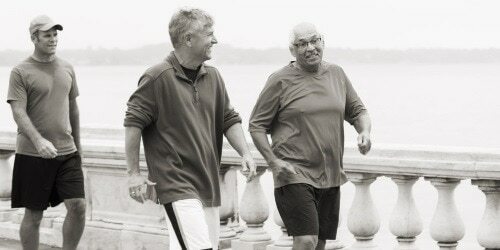 There's no need to stop your daily activities just because you're dealing with urine leakage. Knowledge is power - Learning where the toilets are ahead of time, can help you plan your activities better and you don't have to stressfully look for a toilet when you need to go. For example, if you're going to watch a live game you could try to get seats near the toilets for example. Clench - For many men, pelvic floor muscle exercises help when it comes to urine leakage, so make sure you keep up those clenching exercises. Especially since you can do them both at work and at home. Urine leakage protection - There are great products available for men when it comes to urine leakage protection. 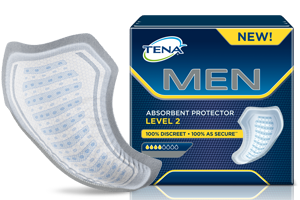 TENA Men products are specifically designed to offer discretion, comfort and security and are made to fit your lifestyle. They come in different absorbancy levels, from light shields and protectors, to high absorbancy underwear, so you can be sure to find a fit for you.